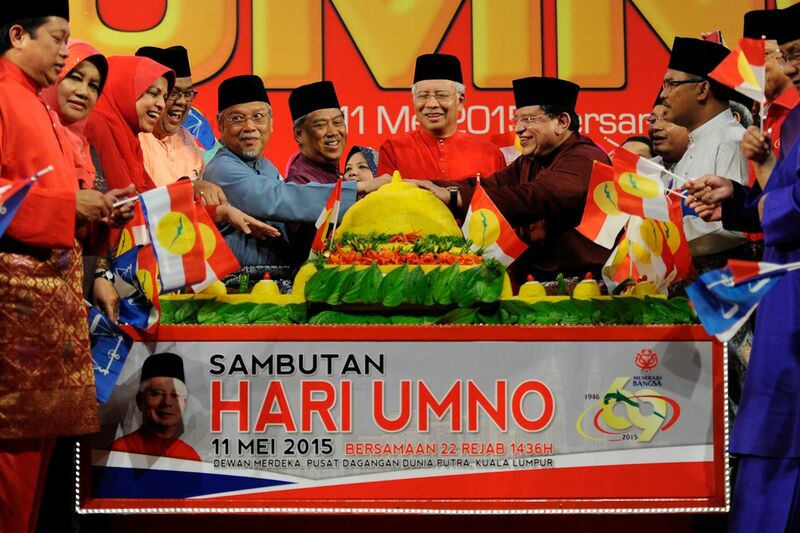 A never ending list of corruptions by BN-UMNO leaders…. 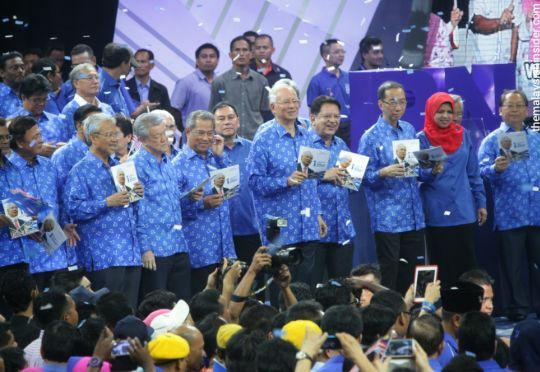 List of UMNO/BN blunders and plunders since Tun Mahathir’s 22 years watch and Badawi 6 year’s tenure in which he sold off an oilfield located at Sabah territory to the Sultan of Brunei. The blatant corruptions continue with Najib squandering RM42Billions through 1MDB and RM7Billions on the explosive Scorpene, and Russian fighter jet scandals. 28. The sale of M.V. Agusta by Proton for one Euro making a loss of €75.99 million (RM348 million) Same as No.20? 30. For the past 10 years since Philharmonic Orchestrawas established, this orchestra has swallowed a total of RM500 million. Hiring a Kwai-Lo CEO with a salary of more than RM1 million per annum! 32. The government has spent a total of RM3.2 billion in teaching Maths and Science in English over the past five years. Of the amount, the government paid a whopping RM2.21 billion for the purchase of information and computer technology (ICT) equipment which it is unable to give a breakdown. Government paid more than RM6,000 per notebook vs per market price of less than RM3,000 through some new consortiums that was setup just to transact the notebook deal. There was no Maths & Science Content for the teachers and the notebooks are all with the teachers’ children now. 33. The commission paid for purchase of jets and submarines to two private companies – Perimeker Sdn Bhd and IMT Defence Sdn Bhd amounted to RM910 million. Expanding on No. 2? 54. Wholesale distribution of tens of millions of shares in Bursa Malaysia under the guise of NEP to cronies, children and relatives of BN leaders and ministers worth billions of ringgit. 56. Since 1997, Petronas has handed out a staggering RM30 billion in natural gas subsidies to IPPs who were reaping huge profits. In addition, there were much wastages and forward trading of Petronas oil in the 1990s based on the low price of oil then. Since the accounts of Petronas are for the eyes of the Prime Minister only, we have absolutely no idea of the amount. 63. Expenses for 1Malaysia campaign paid to APCO? 65. US$24 million Diamond Ring for Ro$mah – Cancellation of Order – how much compensation ? 68. Illicit Fund Transfers out of Malaysia ( 2000 – 2009) : RM 1,077,000,000,000! 72. rasuah dan penyelewengan peminpin umno Terengganu ddalam projek Jalan Lingkaran Tengah 2 (MRR2) yang dimulakan pada 2004. 74. PM Malaysia Najib mengakui saham bumiputera RM52 Bilion telah hangus dan lesap yang tinggal cuma RM2Bilion daripada jumlah asal RM54Bilion yang diperuntukkan untuk syarikat bumiputera. 76. Hutang kerajaan drp duit rakyat KWSP mencapai ke RM 144.5 billion. 77. Lapuran yg dkeluarkan oleh Tan Sri Hasan Marican selaku presiden dan ketua eksekutif Petronas bahawa keuntungan Petronas sehingga 2007 adalah RM570 billion dgn bayaran kpd kerajaan umno RM336Billion. Baki petronas dgunakan utk melabur ddlm paipSaluran gas, logi2 penapis petrokimia dan lain2….. RM336 Billion umno pegang hilang kemana? ?